Pankaj has recently completed his Master of Arts in Psychology (Psychosocial Clinical Studies) from Ambedkar University, Delhi. In 2011- 12, he suffered from a psychotic episode and had to leave his studies. With the help of medication and the support of his family and teachers, he regained the health and resumed studies. In October 2013, during one of the experiments for his thesis work he attempted to survive without medications. The idea was to understand the occurrence of a psychotic episode in as authentic a manner as possible. Medication would have interfered with this process. In the winter break of the same year he experienced a painful breakdown of his long-term relationship. At the same time, his family also moved away after having spent some time with him. 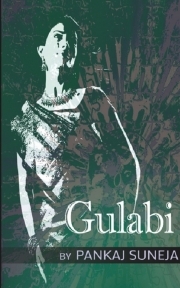 In December 2013, at the height of loneliness, he began hallucinating about ‘Gulabi’. She disappeared a month later. Soon after, he suffered from a psychotic relapse. His thesis work has been about understanding the experience of psychosis or schizophrenia. Thank you for taking time to review my book. I would be happy to hear from you. Please let me know whether you would be willing to review the book.